Nowadays we are working in a world where the web use is increasing day-by-day to achieve cloud-based operations. This arrives with the world of benefits not only for big enterprises but, also for small businesses. Today in the CloudCodes official blog page, we are going to aware readers with the importance of cloud computing for small businesses 2018. After this, we are going to illustrate cloud security guidelines to prevent small industrial data from breaches. Eliminate Configuration Headache – The online customer service helps small industries to integrate with technologies, which they cannot afford or implement on their own. It means that cloud computing completely removes the use of hardware or software configuration. Enterprises can make use of cloud service providers like Microsoft Office 365, AWS, Salesforce, Google cloud platform, etc., to work easily without any stress of hardware configuration or maintenance. Offers Scalability During Office Work – The another aspect in cloud computing for small businesses 2018 involves scalability. Trending techniques like cloud computing vendors and multi-factor architecture offer flexibility for the services. Small firms can give order from provided list of services menu, and also stop their services when they are of no use. The cloud computing scalability offers significant amount of cost savings and benefit customers with tons of official benefits. Automates All The Firm Processes – Last comes the automation of business processes! Adopting of web technologies simply result in conversion of manual work into automated one. The work can be of any kind like storing of employees & customers record, financial transactions, dealing with customers to solve their problems, and more. It is true that the scenario of each small industry is different but, cloud computing offers its benefits for all, according to the requirements. Never Ever Neglect Business Network – Cloud network security is the core part of entire puzzle. Most of the wireless routers used in small offices don’t have sufficient features to protect or optimize traffic on network. This cloud security tip command users to make use of a proper network solution that provides malware protection and intrusion prevention. It should also ensure business continuity with bandwidth shaping. Apart from all this, the solution should be capable of providing failover options between the web connections to maintain productivity and stay online. Simplify the Daily Solutions on Cloud – There are many organizations that struggle with protection of several locations at a time. These locations can be any like office branches on a different location, remote workers, or retail storefronts. Here, having an appropriate network security solution vendor is an essential aspect. There are different methods for avoiding installation of the security approaches to reduce the management overhead, attack surface, and complexity. Cloud-hosted and managed firewalls could simplify and streamline the operations of cloud security. A proper balance is required in business operations and security solutions so that things don’t interrupt each other. Keep Constant Eye on Employees Work – The maximum lifecycle of firewalls is either three or five years. But, there is a bundle of small businesses who are unaware of the requirement of updating or replacing firewalls regularly. This cloud security tip is not like ‘set it and then, forget for all the time’. At least, the responsible entity must maintain the records of threat signatures, patches, and software upgrades. It is important for the industries to have a look on software approaches when it is about online data protection. Cloud service users should adopt a habit of updating their apps either online or locally on weekly basis. Enterprises don’t begin big, they grow with change in time! 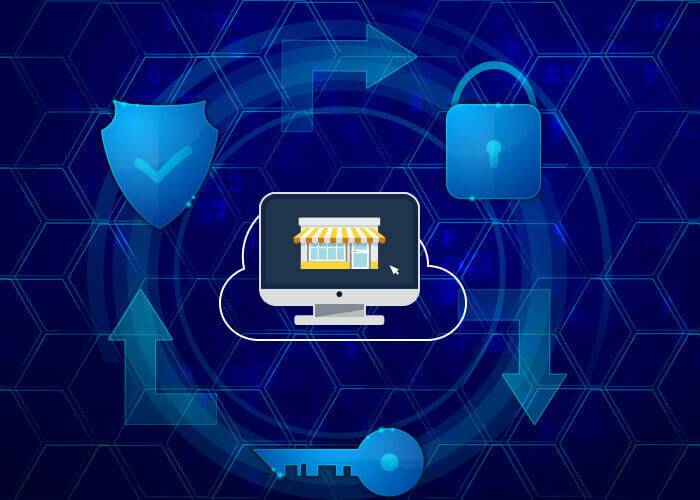 Small businesses are the soul and heart of the economy, and hence, their cloud security solutions need to be strict. These will help in growing their business without cloud computing security risks. Network security is the core part to begin because of team access business data at different geographies and time zones. Plenty of intelligent and smart security-as-a-service vendors are available in the marketplace to render online data protection to small, medium, and large businesses.